This may not work with paragraph bundles (because you don’t have a Token view mode). Maybe there’s a way, but I don’t have time to mess with it. 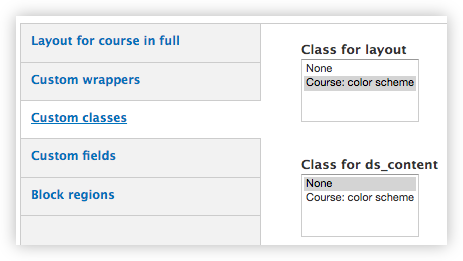 Sometimes as a developer you need to provide your Drupal authors with the ability to choose different variations of a particular content object. For example, imagine you have a Callout paragraph bundle and you want the author to choose between a Dark or a Light colorscheme; if the user chooses Light, the font colors appear dark over a light background. To achieve this you need a dark or light class on the entity wrapper based on whichever the author chose; this would let you write CSS to target each color scheme. Using Display Suite this is an easy problem to solve and doesn’t require any preprocess code or other hand-coded solution. This solution requires Token and Display Suite. You will need to enable the ui modules from these, as well as ds_extras to give you the CSS class functionality. 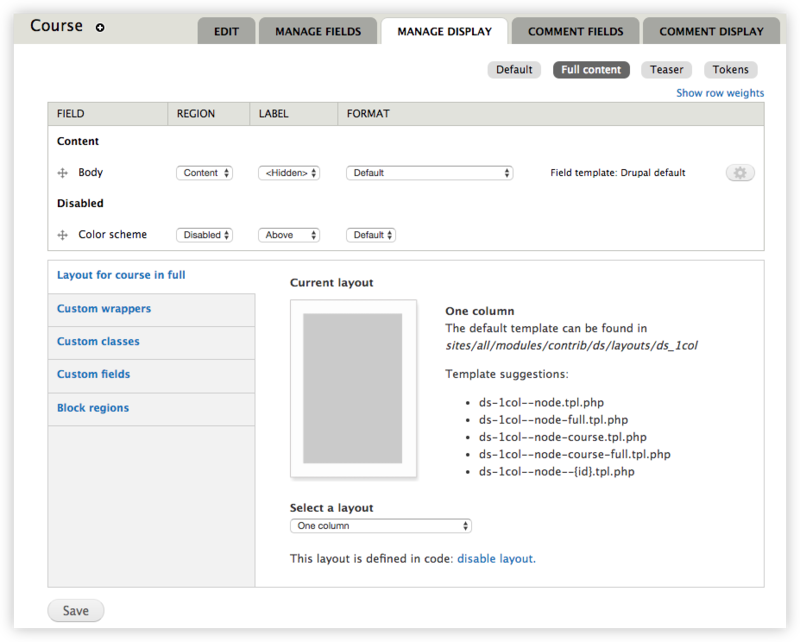 For the class-setting to be available you must choose a Display Suite layout for the view mode you’d like to “class-ify”. After you choose a Display Suite layout you’ll see additional vertical tabs (the one we’re hoping to see is “Custom classes”). In Drupal 8 (as of July 20, 2018) this Browse available tokens is not available. 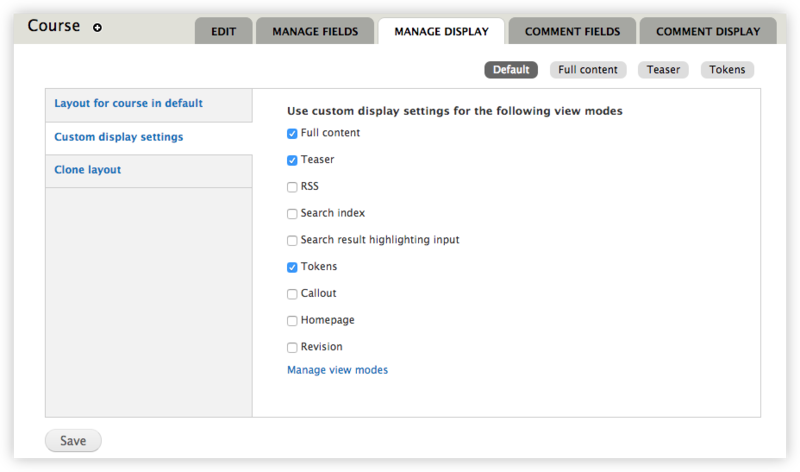 You can get to the same browser by going to a Manage display view mode and editing a field’s settings in expert mode (if you have DS field templates enabled). The link will appear below the css overrides (wrappers, items, etc.). At this point if you test the configuration you should see a new class on the entity wrapper. Notice that we got the field’s display value, not the key. What you really want is the key like colorscheme-light (see second graphic above). To be able to do this you have to do one more thing. 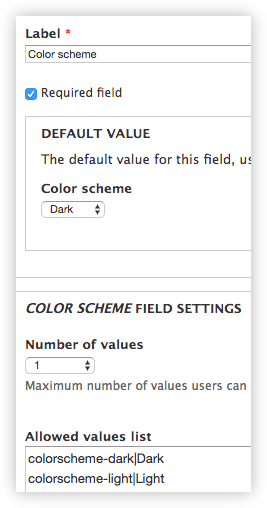 Edit the Tokens view mode to set the Color scheme field format to Key instead of Default; make sure it isn’t hidden, too. Now there is a class on the wrapper that we can use to style accordingly. This took a while to setup, Adam! Once you’ve done it once it takes just a minute to do it to another content type or with another field. Also, it exposes you to another piece of Display Suite that could be beneficial to you in the future (notice you can set classes on fields too!). If you are concerned with this approach you can certainly achieve the same with an entity preprocess hook. Is there a way to do this in Drupal 8 because apparently Display Suite does not provide Token support in CSS classes for Regions in Drupal 8 as far as I can tell. Thanks.